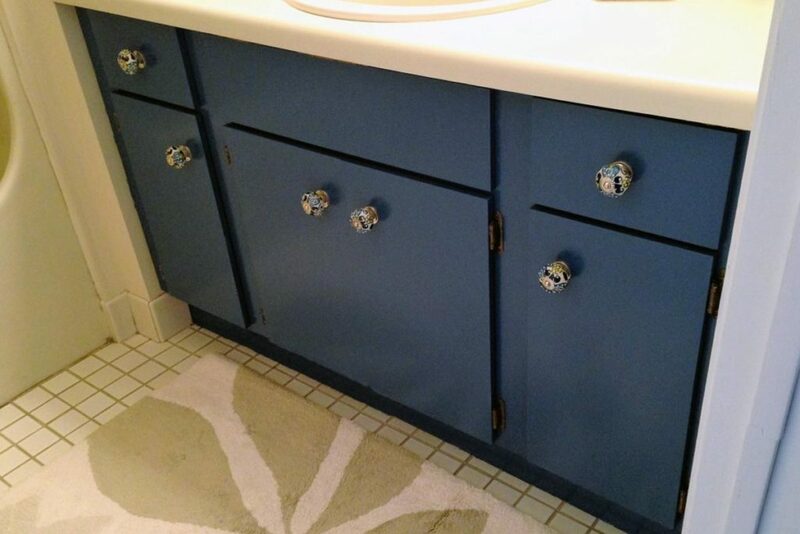 Refinishing and Painting Bathroom Vanities and Cabinets: Oh Vanity! 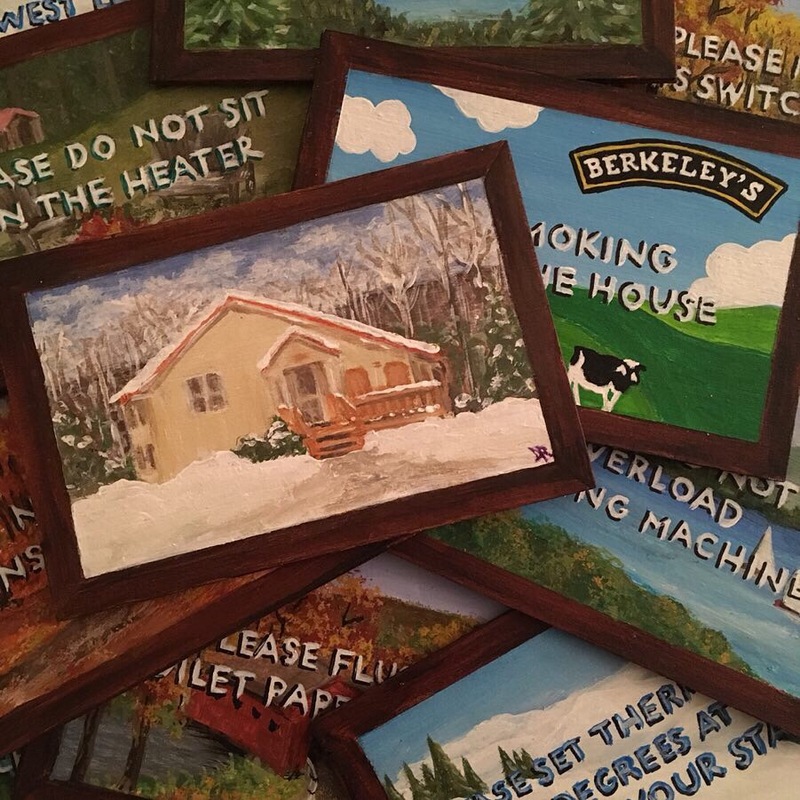 Painting Bathroom Vanities: Oh Vanity! 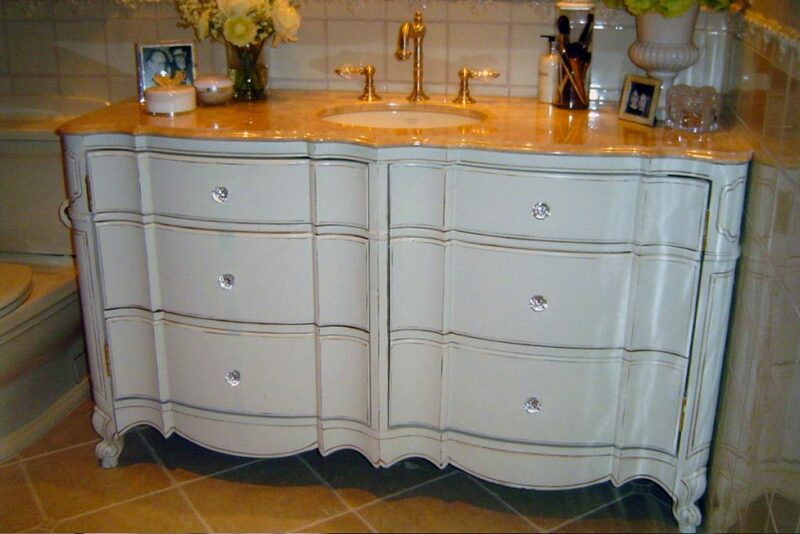 Home/News/Painting Bathroom Vanities: Oh Vanity! Sometimes simple, straightforward projects like painting bathroom vanities can make a very big impact. 2015 seemed to be the year of the bathroom vanity re-do. 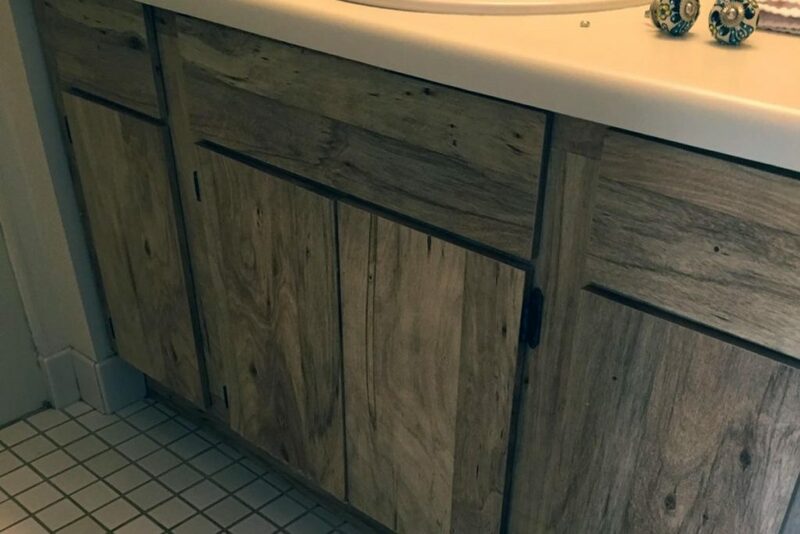 None of these projects were terribly complicated, but they made a big difference in the look of a bathroom! 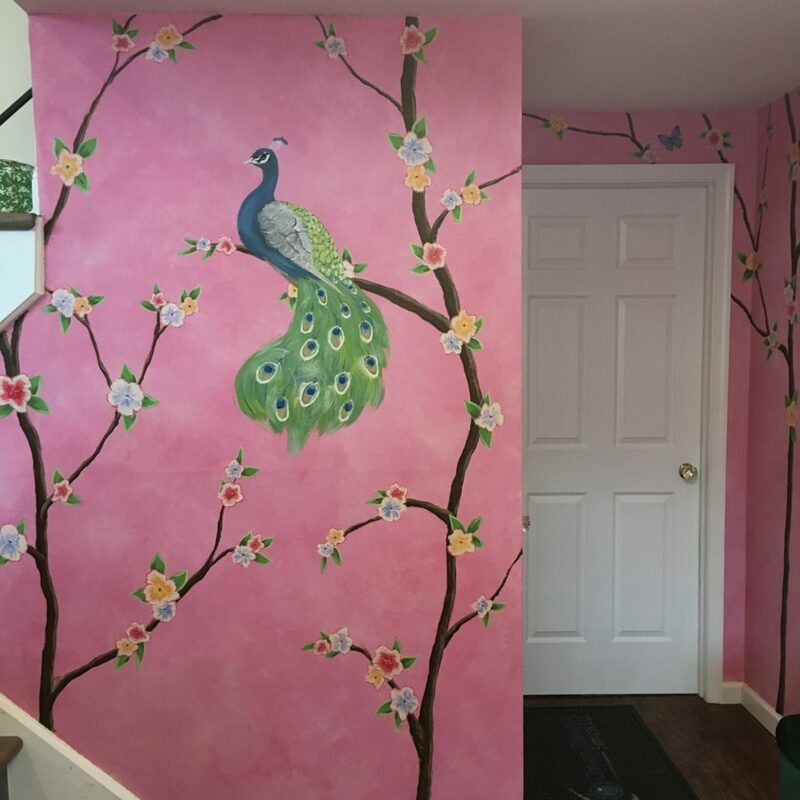 Sometimes a homeowner is not ready to completely renovate a bathroom, but still cannot live with the current decor! Sometimes a cabinet is beautiful and loved just as it is, but surrounding renovations require an update. 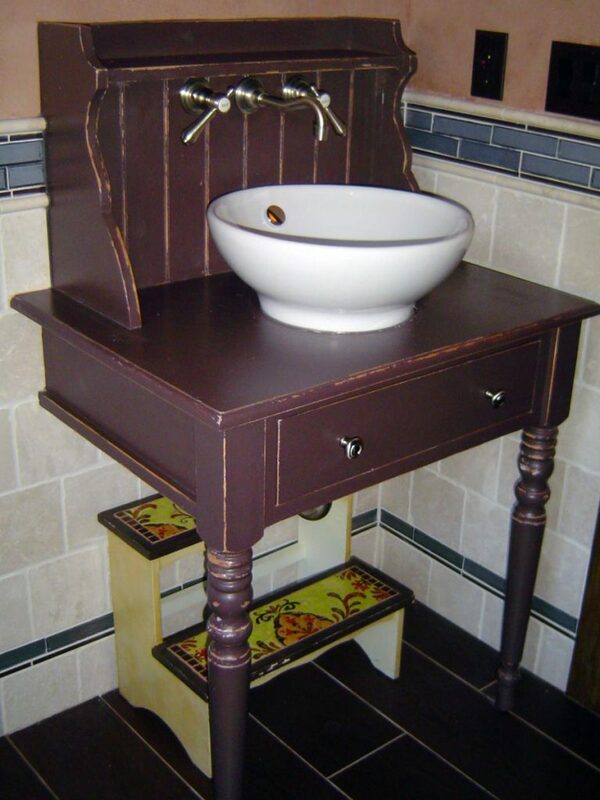 Originally a small desk, this piece was cut apart, rebuilt, and fitted with a sink and plumbing, then painted chocolate brown and rubbed through to reveal bare wood along the edges. 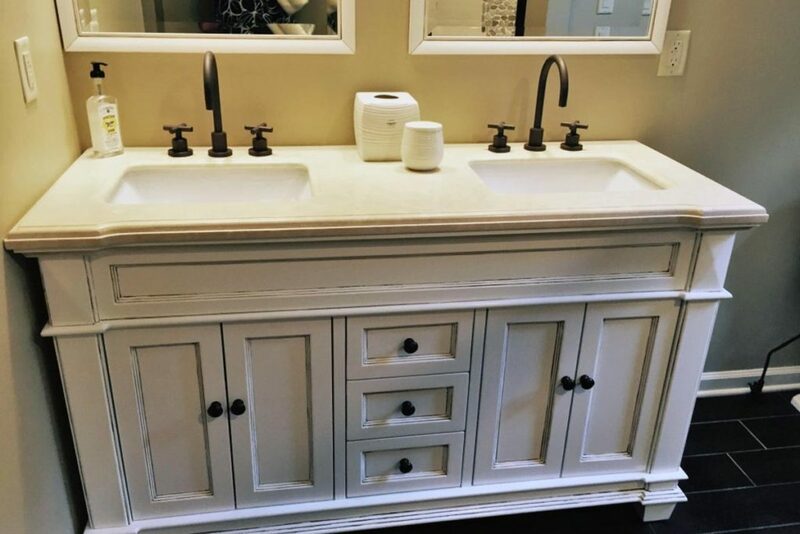 This master bathroom vanity was once a bedroom dresser. Repainted, antiqued and finished in gloss polyurethane, new hardware, and a granite counter top surface and sink replaced the furniture top. After: Dark antiquing accents were painted in the grooves and edges of the cabinet and mirrors to give them some interest and also disguise some less-than-perfect manufacturing details. New hardware upgrades the look as well. After: Properly sanded, primed, and painted a bright teal color, this vanity cabinet looks fresh and updated, with new decorative knobs adding the finishing touch! 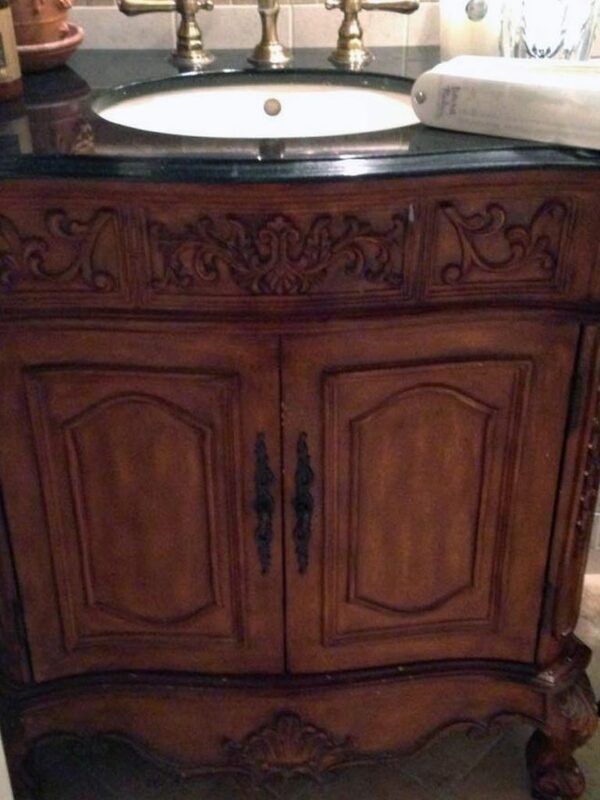 Before: French carved wood vanity in its original wood tones. 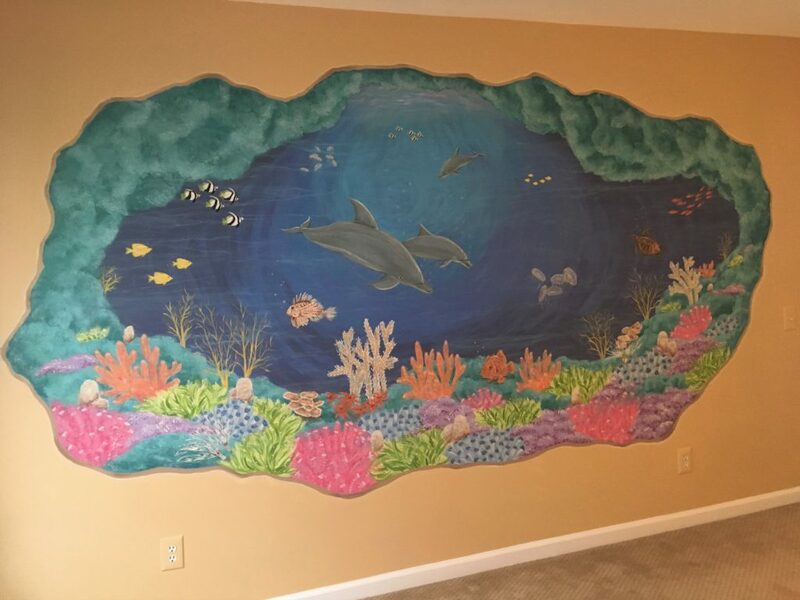 Pretty, but could use an update. Before: Laminate cabinets with rustic wood design look horrible dated!